Definitely, you are going to feel sad, down, happy, angry and other mixed emotions after your divorce. But that it is all for your good. 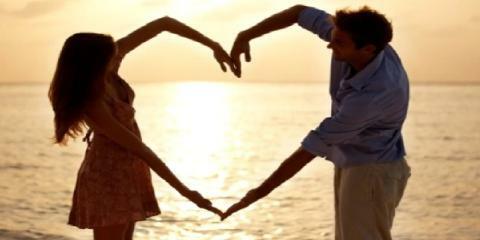 Marriages are meant to be enjoyed not endured. 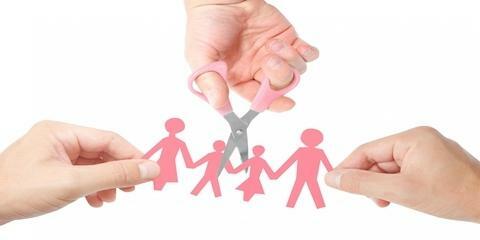 If you are enduring your marriage, there is nothing much to do but to file for a divorce. It can be said that the end of a marriage is always a difficult time you don’t want to go through alone. In many ways, recovering from a divorce is very difficult. No matter who ended the marriage, the future can look depressing and frightening. But life has to continue and there are thousands of people who go on to have happy and fulfiling lives after divorce. There are a lot of things you’ll need to focus on during this recovery time and sometimes it may feel overwhelming. But as well as that, you need to focus on yourself as an individual, making decisions on what you need to do to help you let go of the past and look forward to the future. Don’t be surprised this is the first point on this list. I have been in your shoes before and believe me, there is still something about your partner attached to you. The bitterness your ex-partner caused will be very hard to forget but still, you have to let it all go. Holding on to the past doesn’t make you see the good things ahead of you. I am sure that thinking about them over and over again will not change the fact that you’re divorced. Acknowledge your inner feelings, learn from your past experiences and gear yourself up for the next phase of your life. Yes, you can have a beautiful life after divorce. I know the pain of going through days and nights without anyone to talk to, I understand the agony of waking up to no one by your side, the only way to get over this pain is to get yourself a distraction. Yes, by distraction I mean occupy yourself with something. You can take piano lessons, make weaves, opt in for a course or something to keep you busy and keep your mind off your ex-partner. After getting out of an unhealthy marriage or a toxic relationship with a narcissist, there are tendencies that your ex might still want to play mind games on you. The best way to avoid falling into your ex emotional trap is to cut off any form of communication totally. I will strongly advise you to block them off your social media accounts, try to delete their mails and chats, and avoid running into them in public because you might get intimated to stir up something again (which is what you don’t need now). Although it seems harsh, cutting all forms of communication is actually the best way for both of you to heal. It allows you to focus on your own personal needs and the anguish process without getting drawn into quarrels, jealousy, or chaotic conversations. Divorce can be likened to losing someone dear to you to death. Literally, divorce means you ex doesn’t exist in your life anymore. Definitely, when you lose someone, you will experience some sort of grief and you need to get over your grief. Here are 5 steps to dealing with grief. This is usually during the first week, during this phase you don’t believe you’re divorced. During this phase, you get mad or angry at yourself for believing the lies your ex told you. You begin to think that you can bargain or beg your way back into the marriage. You might try to beg or argue with your higher power, or convince your family or friends to talk to your ex on your behalf. This is the stage whereby you feel miserable and hopeless. You see the word “love” as a means to shed tears and be buried in thoughts. This stage is usually within 1-2 months after the divorce. You find it difficult to stay motivated and happy. This is the last stage of grieving a loss. This is the stage you feel nothing can be done to bring your ex back and you accept the reality of things for what they truly are. This is the final step when it comes moving on from a divorce. To forget the past, you must accept the reality and embrace the future. As humans, there will definitely be setbacks, and the only way to move forward is to take a step into the future. You need to keep your balance in life by moving forward and giving someone else a chance to love you.